The best thing I ever did was buy my car. It gave me my first experience on how the world works. I had never bought anything that I would have to pay for over time. It was the first time I was a big girl, and I bought something that I couldn’t pay off the next month. It has been a long time since I was twenty but one thing hasn’t changed you need to do your research when you buy a car if you want to save money. I know own four cars they are all paid off and I can tell you the secret to do the same thing. Determine what you can afford. You will do this by listing all your expenses and adding in 20% for savings. Then you need to figure out your loan amount. Once you have figured out how much you plan to borrow if you plan to borrow add 10% to that amount because you will need to save for car repair and car maintenance. Then you will have a good idea of what you can afford. Once you know what you can afford you can search for the cars in your area that are in your price range. You will need to look at more than the sticker price when making your decision. You need to look into what type of services the car will require and when. If you buy a used car with 30k miles does it need something large done by 36,000 miles? These are all important factors to consider when shopping for a car. Once you have a good idea then use this information to compare the cars on Cars.com. Then check for their availability and find who has the car you want at the price you can pay. In order to, not have a loan I suggest buying a car that is 50% less of your projected budget and putting that money into an account. If you have to take out a loan this time if you save each month your next car should be able to be purchased in cash. They say cash is king and that is true. I have always gotten better deals by being able to write a check for my car over having to deal with the bank. 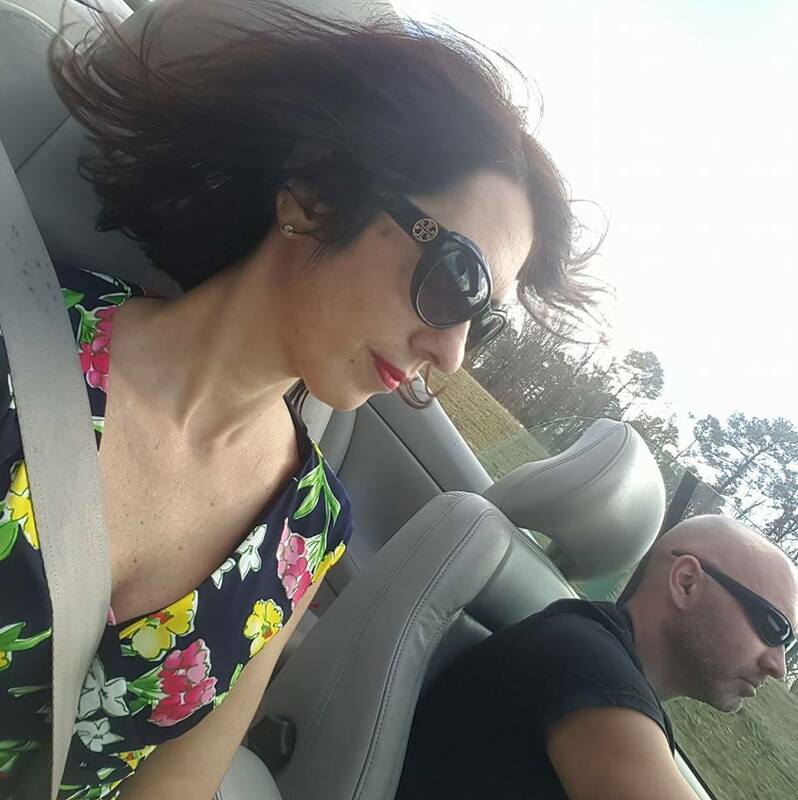 The first car I bought was a lease so that I was able to put away cash for when the lease ended. Then I had enough money to buy a car that I still own. You know what they say you can have what you want but being able to afford it is important. That is how I save money when buying a car. 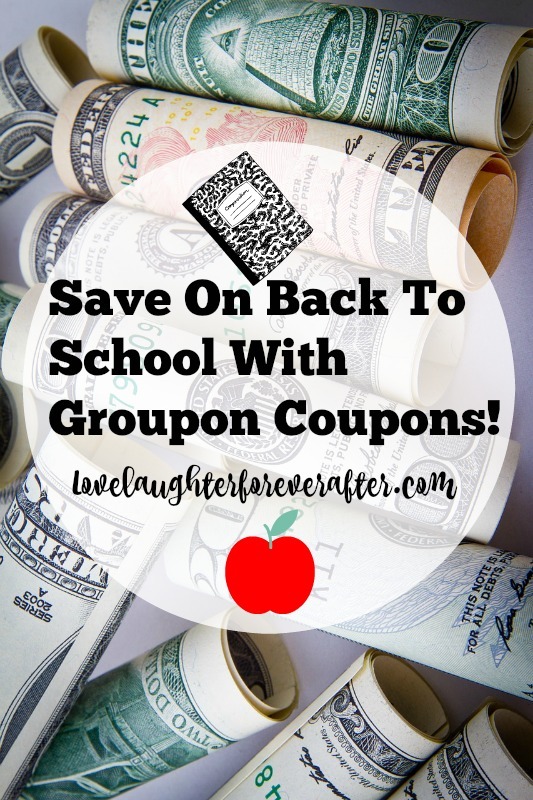 Save On Back To School With Groupon Coupons! You guys! Can you believe that school is almost back in session? As a mom of one it’s hard enough to keep up with the school supplies, electronics, and school clothes my daughter needs (those of you with more than 1 kid, I know you guys feel the strain of back to school time even more than me! ), so I always look for a little help where I can get it. This summer groupon has really been a huge help in keeping my daughter occupied with visits to zoos, trips to paint pottery, and even a little bounce house fun, without having to pay huge amounts of money. And now I can use groupon again to help me with back to school time. I know you guys are thinking, wait? Isn’t groupon just for outings and fun things? Well while that is a huge part of what they do, that isn’t it! Have you heard of Groupon Coupons!? So what is Groupon Coupons? With Groupon Coupons, not only can you save money on events and adventures, you can also save money at some of your favorite stores to shop at! Say what!? It’s true! And they have a HUGE database of coupons for all types of stores. Everything from toys to books, and from shoes to medicine. Some of these coupons are really going to help me save some money on back to school items, without have to stray away from the stores I already love and shop ay. Here are just a few of the stores you can find valuable coupons from Groupon Coupons! Footlocker for those back to school kicks! So are you ready to save some money today? Head on over and check out Groupon Coupons! Don’t forget to follow them on social media as well! Energy bills. 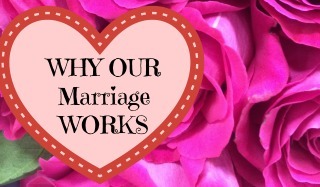 It’s something we all have to deal with since we need energy to do…pretty much everything ha. But does that mean that we should be price gouged by the energy company? Absolutely not! 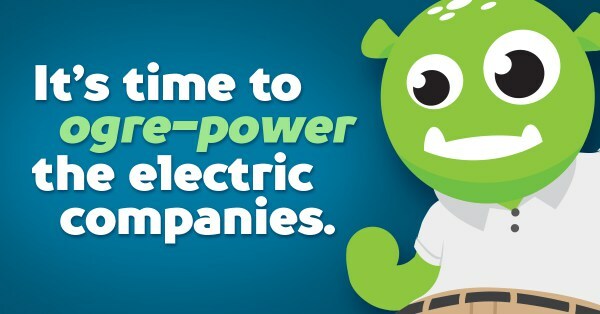 Well, if you live in Texas and want to save some money on your energy bill, keep reading, I have something exciting to share with you! I have a friend. Well, I have several friends who are broke. I do not pick my friends based on their financial wealth. I do not care about what they have. I do worry and have spoken to them about their finances because they asked. 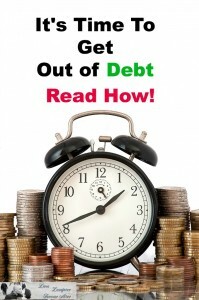 I want to help them by teaching them how to get out of debt and start over. There were three common excuses they had for being broke. The first was they couldn’t find the right job. I am not sure there is a “right job”. This is what I told them. Make a list of what you like to do and what you want to do. Then figure out how to create that job. In the meantime find a job that fits your schedule and go to work. simple. This is how we figure out how to get out of debt. We made a list of expenses. 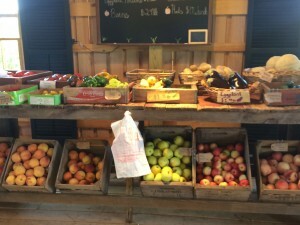 We all want to eat and feed our families healthy foods. Sometimes, it seems like it’s a lot cheaper to buy processed foods, but that’s not healthy. If you want to feed your family more vegetables and less junk, try some of our 10 ways to save money on vegetables and eat healthier for less. 1. Start your own garden. Start with a few different veggies and when you get comfortable, add some more for a bigger variety. 3. Buy what’s in season. The easy availability of them makes them cost less in the grocery store. Get the free printable how to save money on fruits and vegetables <—- to remember when vegetables and fruits are in season. 4. Frozen vegetables are cheaper and just as good as fresh. When frozen veggies go on sale, be sure to stock up! 5. 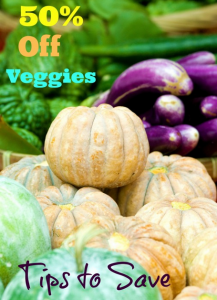 Don’t throw away vegetables that are just beginning to get too soft or that will soon spoil if they aren’t eaten. Use them in a sauce, smoothie, or even chopped up, cooked and then frozen to use for freezer cooking. 6. Join a vegetable co-op and get a box of different fresh vegetables every month for a low price. 7. Buy a prepackaged bag in the grocery store instead of loose vegetables. My grocery store sells a bag of mixed bell peppers that costs about half of what it costs to buy them loose and pay by weight. 8. Use store rewards and Catalina coupons to buy fresh and frozen vegetables. This can save a substantial amount of cash during grocery shopping. 9. Use your vegetables twice. Yes, you read that right! If you make juice using a juicer, don’t throw away the pulp that gets left behind. Use it to make muffins, bread or soup. It’s like getting double for the money. 10. Don’t spend extra money for convenience. Pre-washed, pre-cut vegetables are way more expensive, so take the time to do this yourself and save a few bucks. This is how you get your kids to eat their vegetables. 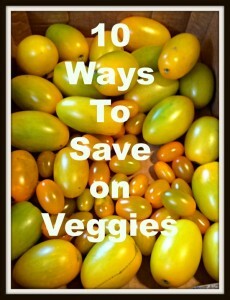 I hope you can use some of these 10 ways to save money on vegetables and eat healthier. Pass up that processed food and eat more veggies. It doesn’t have to cost you an arm and a leg to serve your family a large variety of produce with their meals. What are your vegetable savings tips?